Printstagram. Honesty time: I’m not “crafty” and Pinterest is often an anxiety-provoking experience for me when I mosey off the Food & Drink category to Home Decor or DIY & Crafts. So many great projects! So little time. So little talent. lol But when I came across this Pin a few weeks ago, I knew I could do it – heck, I already had an unopened, never-used bottle of Mod Podge. What can I say – I’m ambitious. I then found Printstagram could print out my Instagram photos into nice and neat little 4 x 4-inch prints and I took an hour this past weekend to put together two collages for our wall. I can see this being a dangerous obsession with more ways than one to incorporate these fun on-the-fly photos into our home. King Arthur Flour. Seriously, do I need to continue to sing praises of the King Arthur Flour company? Sometimes I feel like I’m working for them (I’m not) but I seriously love KAF’s products so so much. My newest thing has been these parchment paper rounds that are complete lifesavers in the kitchen. Forget about awkward rolls of parchment paper that never cut where you want them to. 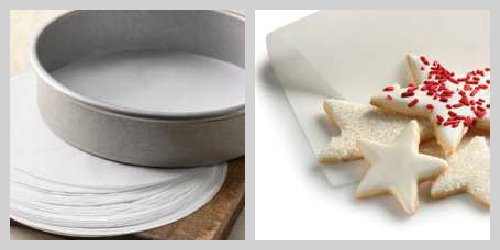 Forget about folding squares to make circles or tracing the bottom of your cake pan. Save yourself the aggravation and invest in these rounds. And P.S. – the sheets that fit your baking sheets? Pure genius. Philosophy Holiday Cookbook Body Wash Collection. Ever since my friend Kristin introduced me to Philosophy last Christmas (again, rock anyone? ), Sephora and Ulta have made quite a bit of money off of me. And as much as I love the enormous and ever-changing selection of lip glosses (Peppermint is awesome but it’s in limited supply! ), I adore the Philosophy body wash collection. A 3-in-1 product (body wash, shampoo, and bubble bath)? Perfection. I’ve tried out all 3 uses – they all work beautifully – and I especially love that when I travel, I don’t need to bring my honking shampoo bottle! This Cookbook sampler just might be my favorite gift to myself this Christmas! I love printstagram too! 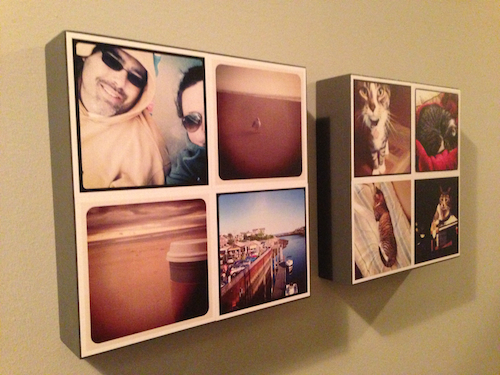 I just printed a bunch of photos and make collages in a 12×12 frame or a record frame – 9 photos fit perfectly! Ahhhh so glad you came to the GG dark side…prepare to kiss your life away. I am so confused- I just realized (via Annie’s Eats) that I hadn’t seen any new recipes from you in awhile, so I checked to make sure I was still subscribed. somehow my Google Reader stopped your feed back in JULY! Looks like I’ve been missing some great recipes! New fan here. Can’t wait to browse around for some amazing finds here. Love it. I just stumbled onto your blog (courtesy of Annie) and I have to say that I too am a late bloomer to the Gossip Girl fan club. I watched the first season but then we cut the cable and I stopped watching. Yay for Netflix. I’m almost done with season 5 and will be so sad when I’m done! Hi Kristin! It’s completely addictive, isn’t it? I just learned today that season 6 is the last season and it will be finished by the end of December. Needless to say, I died a little inside today.